Founded in 1986, ICDC is a community­ based non­profit serving the needs of South Dallas/Fair Park neighborhoods for 30 years. To create a stable, safe, and vibrant, South Dallas/Fair Park community by building partnerships that provide homeownership opportunities, economic development, community education, and advocacy. We build quality homes, renovate existing homes, facilitate downpayment assistance, and provide homebuyer education to help you attain your dreams of owning your own energy efficient and attractive home. The Business Incubator has served as a resource to support the successful growth of startup and existing small businesses since 1994. ICDC's Community Education program is designed to engage the community, to help organize neighborhood associations, and to help address neighborhood concerns and issues. Neighbors are empowered to develop solutions and opportunities that enhance community dynamics and quality of life. South Dallas Workforce Training Center provides grant funded training that actually gets you hired. Information sessions are held every Tuesday at 10AM. Walk-ins welcome, no appointment necessary. 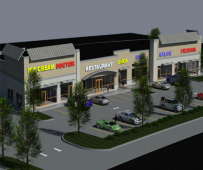 Help ICDC continue to revitalize Fair Park / South Dallas Neighborhoods by donating to build Mill City Retail Center, providing much-needed, accessible services to nearby residents. © 2019 Innercity Community Development Corporation. All Rights Reserved.